Need a cup with more than one color? Our four color printing process can create any image you like on this stadium cup. 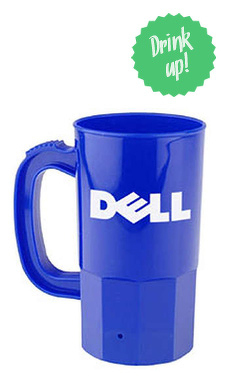 Similar to the Smooth Stadium cup this cup can print your logo without the need to lose any design. Holding over a pop cans worth of liquid this cup is great for any party or gathering. This cup is fully customizable and we have artists ready to help you create the perfect cup! It is preferred that the cups come in white so there is no conflicts with the color printing to ensure you get a great imprint experience.